A native of southern Europe, grown in gardens for its showy flowers or as a potherb, rarely escaped to cultivated ground and disturbed places. First collected in 1903 in St. Clair Co.
Like Echium, this is bristly-hairy but showy. 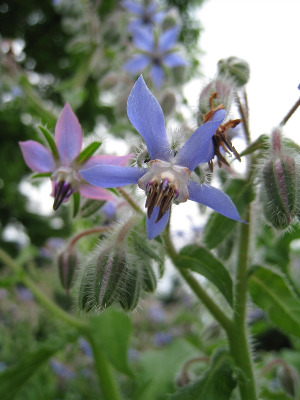 The flowers of Borago are unusually rotate for this family, while in Echium they are unusual in being bilaterally symmetrical. MICHIGAN FLORA ONLINE. A. A. Reznicek, E. G. Voss, & B. S. Walters. February 2011. University of Michigan. Web. 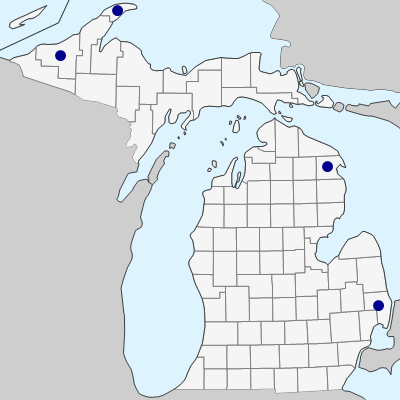 April 21, 2019. https://michiganflora.net/species.aspx?id=565.